Potami. 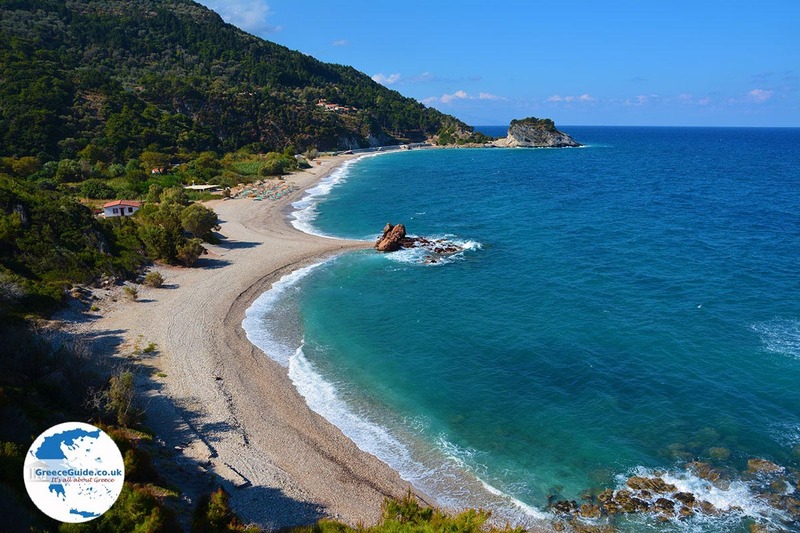 Potami, which literally means 'river', is the name of a beach, 4 kilometers west of Karlovassi on Samos island. 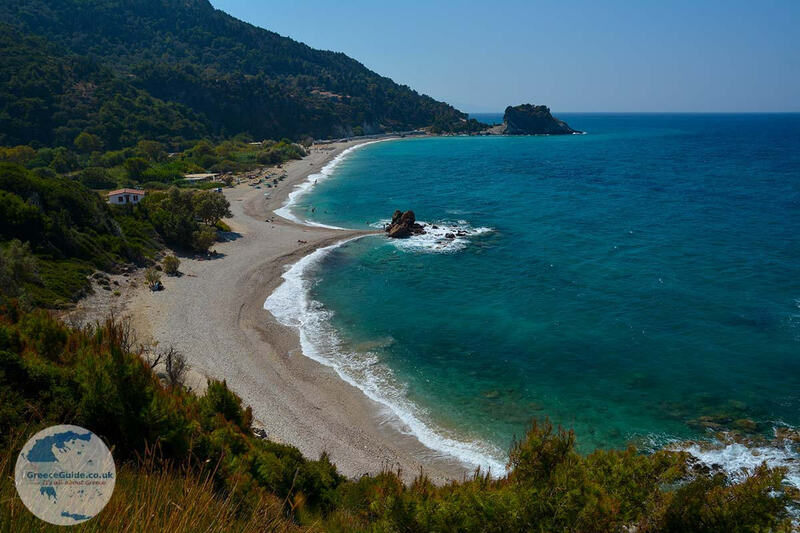 It is one of the most beautiful beaches on the island. The beach is in a beautiful, green area on the spot where a river flows. On the beach there is a beach bar (Hippy's restaurant) where snacks and drinks can be ordered and on the other side of the road is the Sunset restaurant and cafe Del Mundo. Parasols and sunbeds are available for guests on the beach. 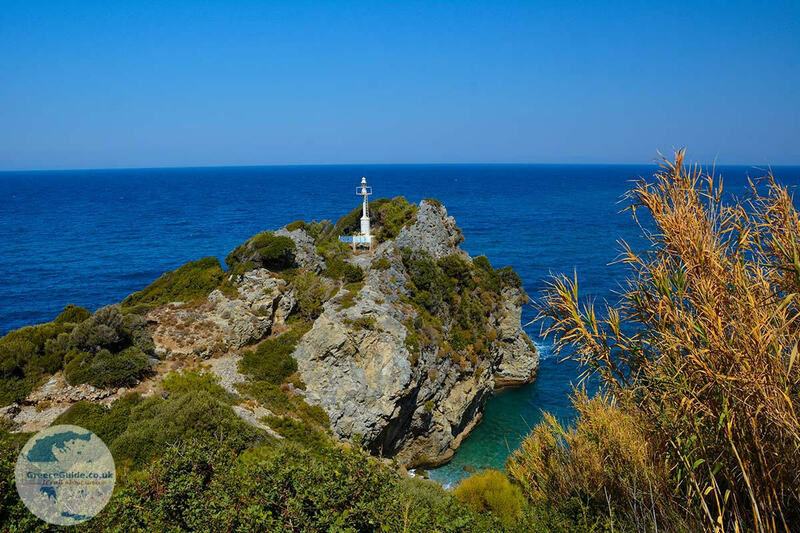 A beautiful view over the beach you have from the church of Agios Nikolaos on top of a low hill along the road. 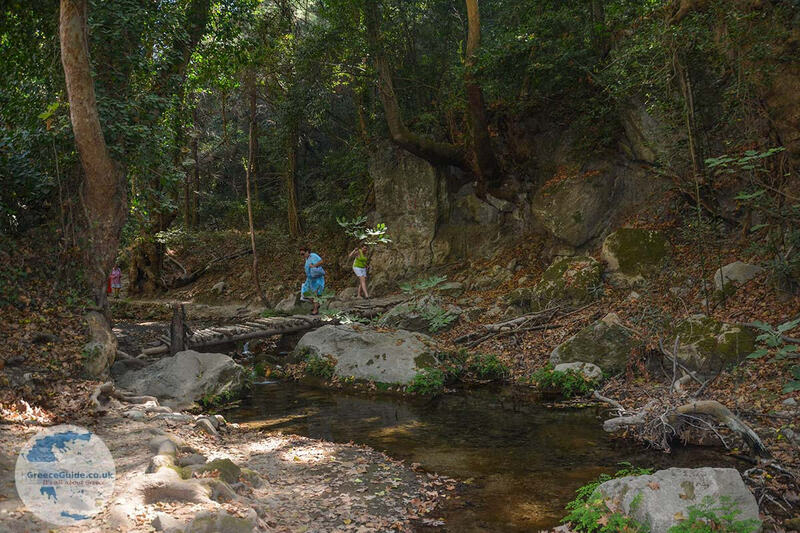 Behind the beach of Potami a dirt road runs into the woods towards a beautiful gorge. 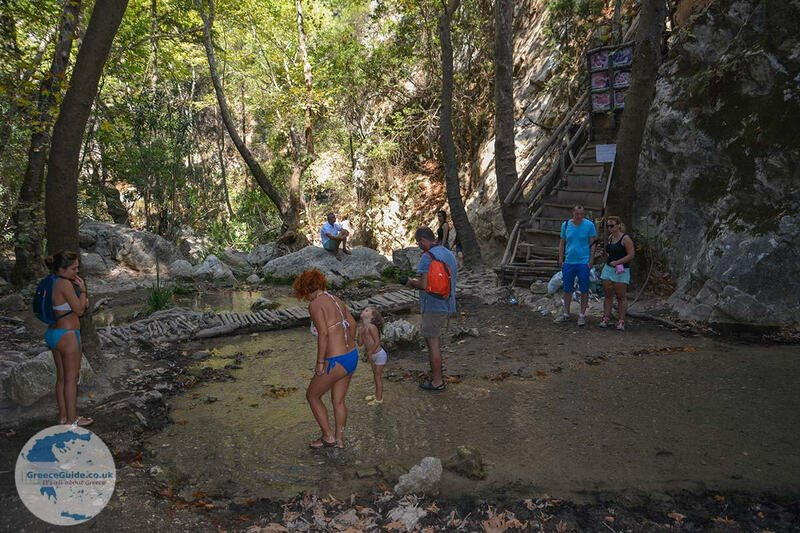 Here are the waterfalls of Potami. The walking route is about 1.5 km long. 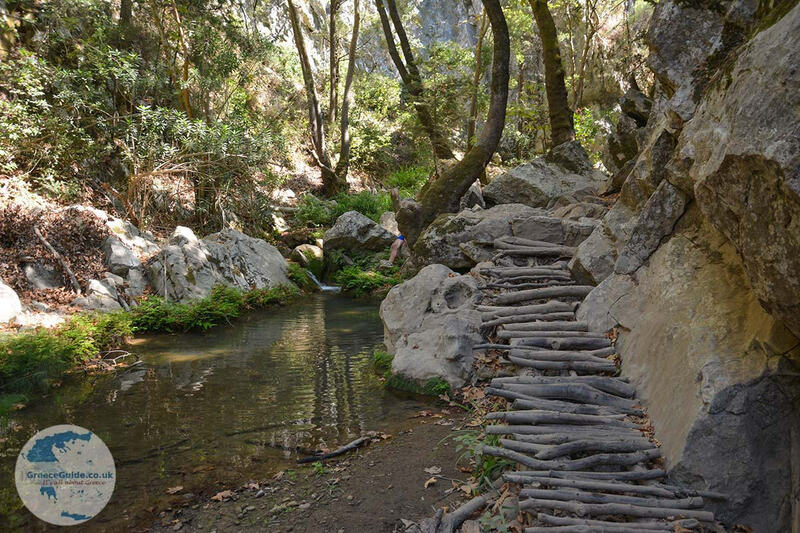 You do have to wear good shoes, because the path is not easy to walk everywhere and the wooden bridges that are necessary to walk from one side to the other, are here and there very run down. On the way you come across an old church (Metamorfosi church) that was built in the 11th century. In the forest two small lakes are formed by the running water. You can swim in it, but the water is very cold. 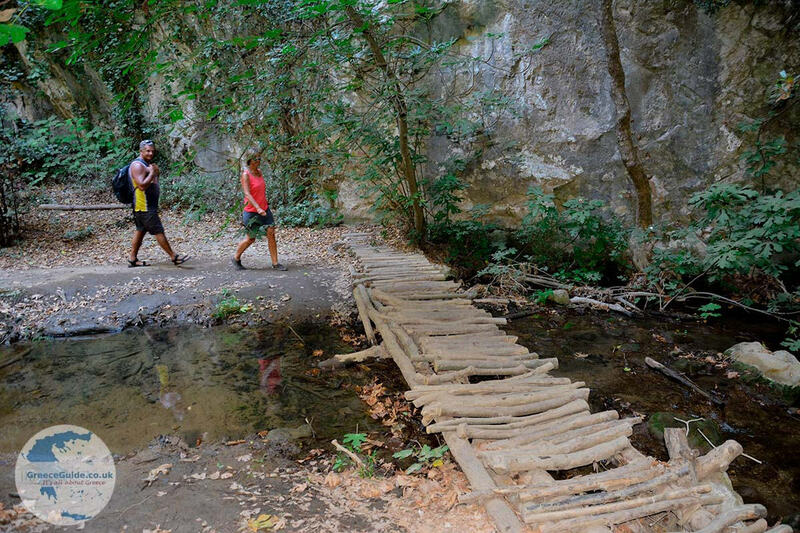 To see the falls, you have to walk through the water that is about 1.20 m deep, so bring your swimming gear. The distance to the waterfalls is about 50 m.
At one of the lakes there is also a steep, wooden staircase, not very safe is my impression. I would not recommend anyone to use this staircase! If you still want to climb this staircase, you come to a taverna (Archontissa), on top of the hill. The view from here is astonishing. 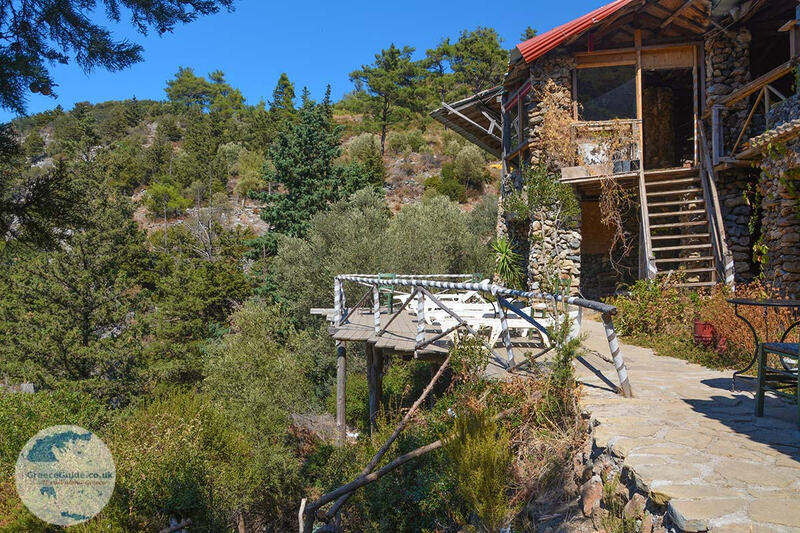 You can reach the taverna also via an unpaved road. 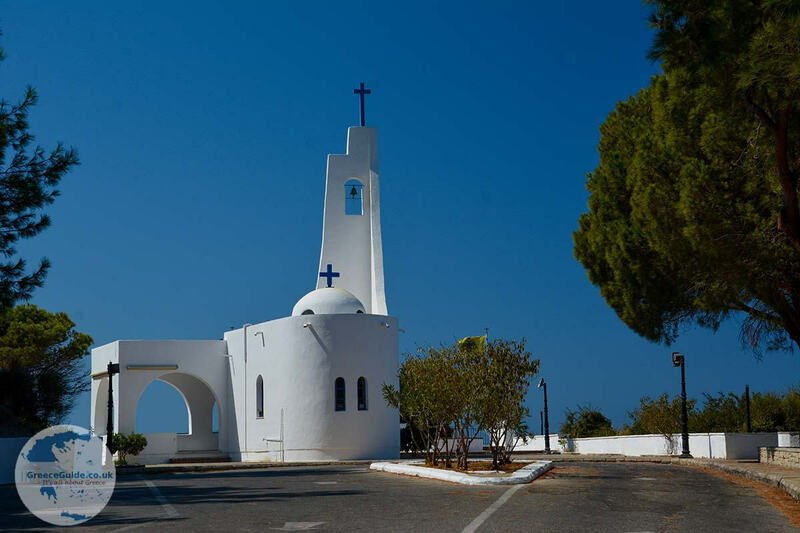 At the church of Agios Nikolaos you can turn left, from there it is about 1.5 km walk or drive. 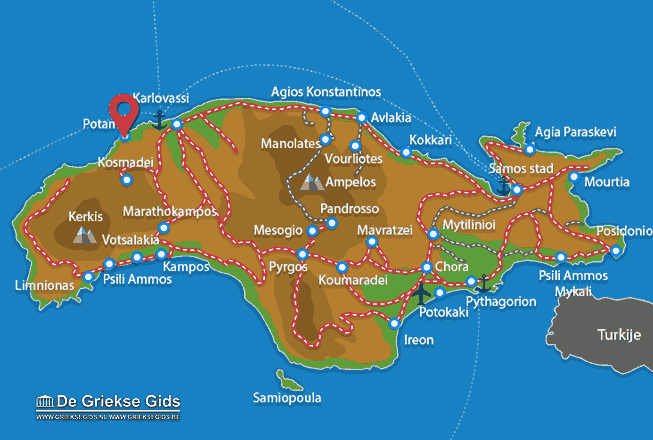 Samos: Where on the map is Potami located?